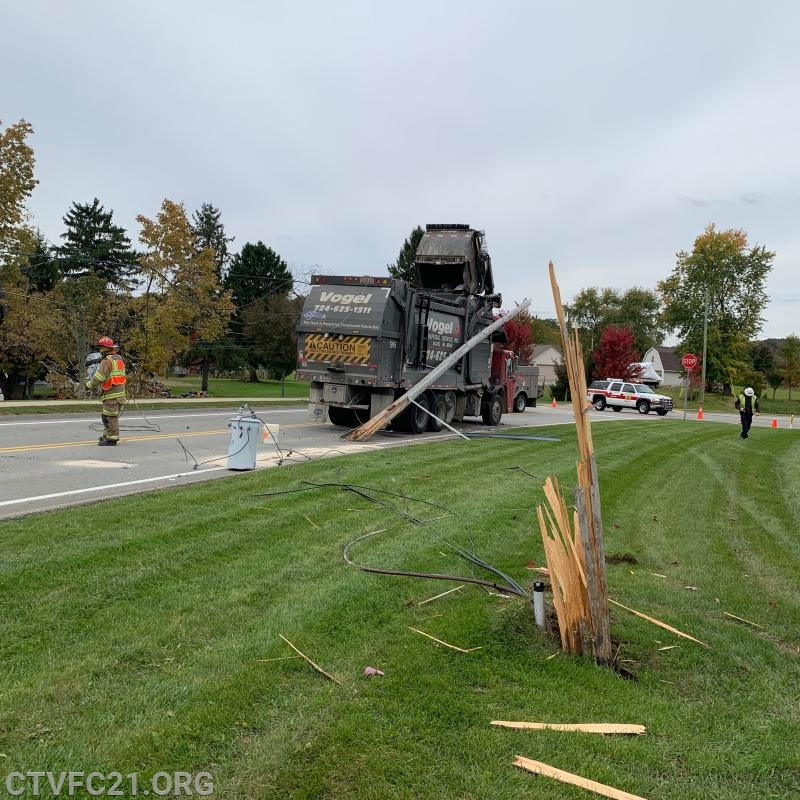 At 13:58 Cranberry volunteers were alerted to a boom truck that had made contact with power lines at the intersection of Garvin Road and Ehrman Road. 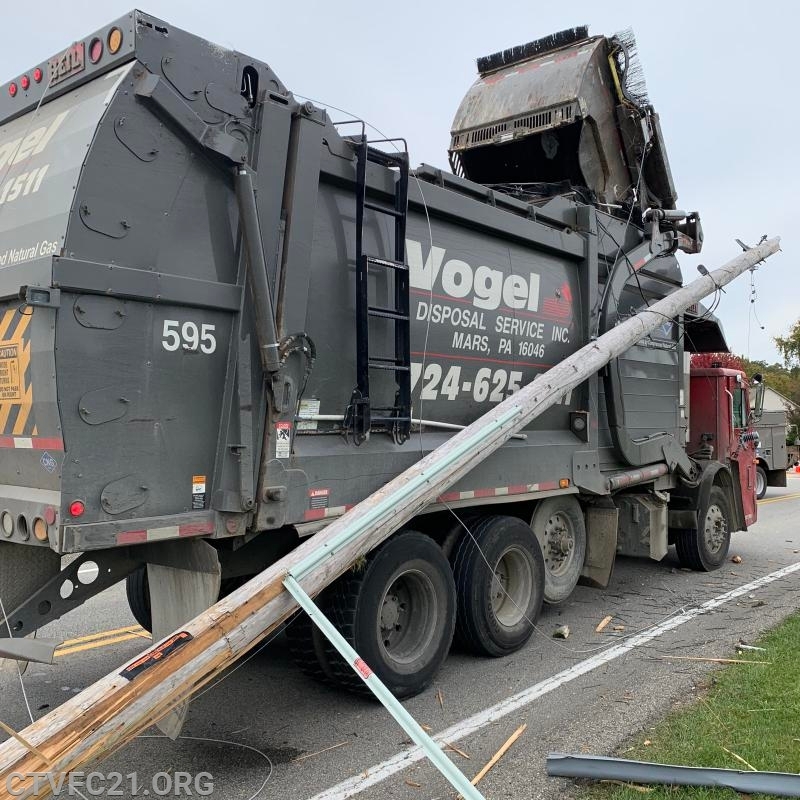 IC-21 arrived on scene to find a garbage truck with its boom in the air had made contact with the power lines and took down several poles. 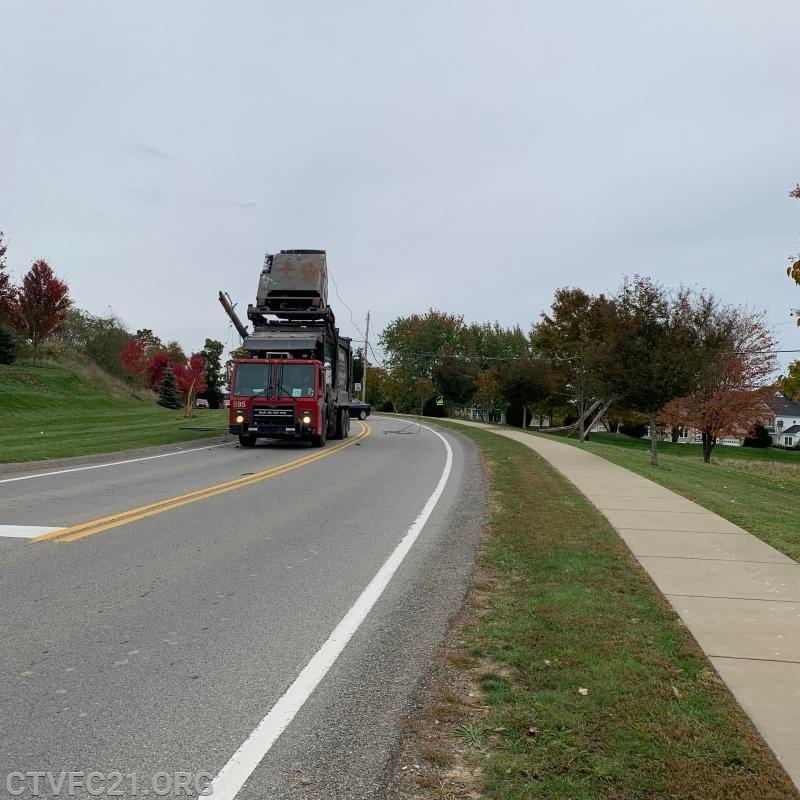 IC-21 immediately requested Cranberry EMS respond to the scene as the vehicle was still occupied as the driver was not sure if the power lines were still energized or not. Engine 21-2 and FP-21arrived shortly thereafter. 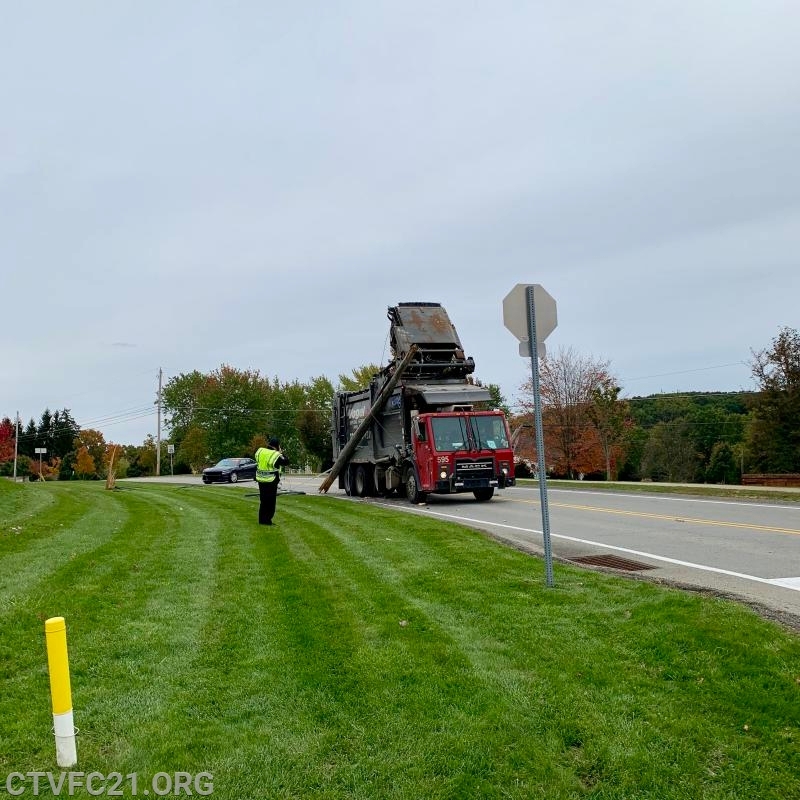 Penn Power arrived promptly and determined the lines were not energized and allowed the driver of the garbage truck to safely exit the vehicle. 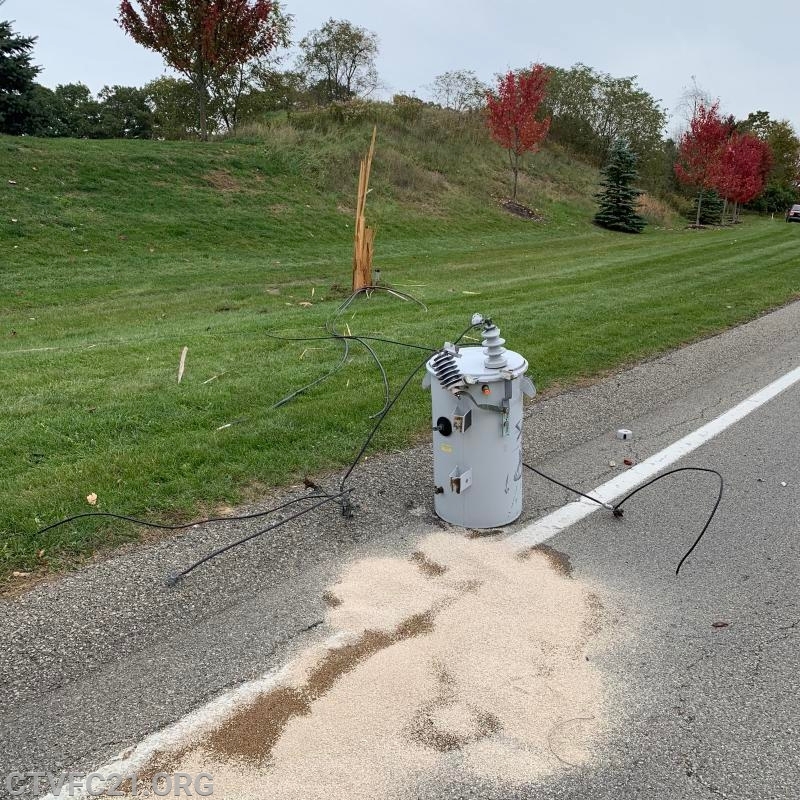 Crews from Engine-21-2 contained transformer fluid from the downed pole mounted transformer. Engine 21-2 returned to service while the fire police and IC-21 remained on scene for traffic control.